The dish Suki Haeng is basically Sukiyaki (hotpot) without broth. In other words not a soup anymore. And in this competition, the two resto´s Elvis Suki and Maverick Suki stands out in Bangkok, with Elvis a birds head in front of its next-door neighbor Maverick. A performance that speaks for itself as this is something of a national dish. The pork meat is marinated to absolute perfection; it just melts in your mouth. Extremely juicy with a smoky flavor. 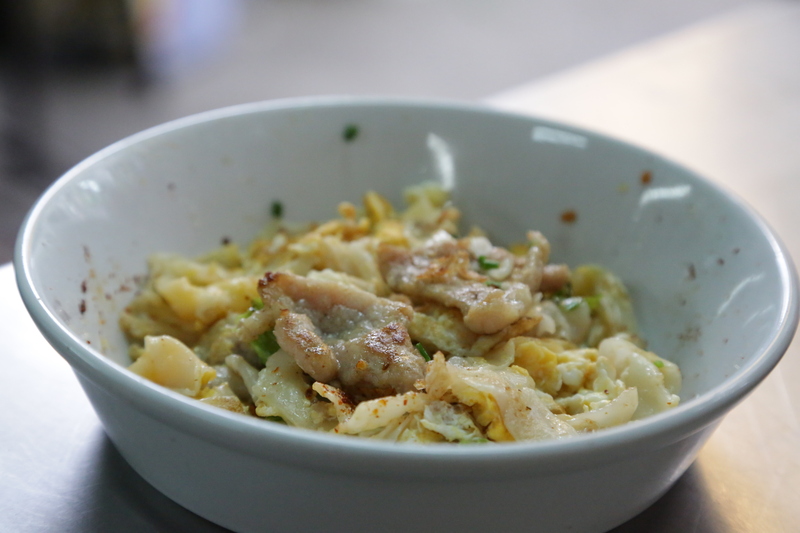 The fried woon sen noodles have a great consistence – not soggy, as they can be many places. The dipping sauce, a make or break for this dish, have a meaty and spicy flavor with lots of garlic. The overall taste is very rich. It comes with the usual spices on the side. 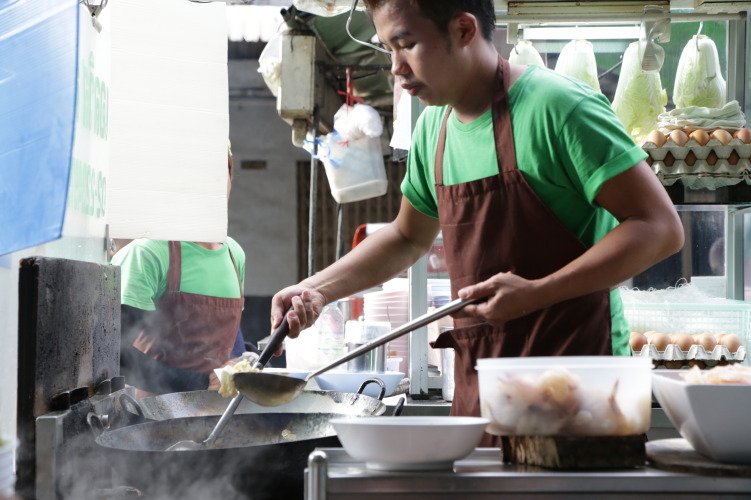 They are honestly among my favorite vendors in Bangkok and I seldom miss the opportunity when in the area. Not the easiest area to visit, but it´s well worth a 5 minute taxi drive to taste. You find it about 1 km north of the intersection Charoen Krung and Yaowarat Road. The locals say the battle never ends between Elvis Suki and the next-door Maverick Suki and the population is split in picking their favorite. In my opinion the pork meat at Elvis is just that little bit juicier then the one served at Maverick. Well, to be honest, they are both delicious. You don’t go wrong with any of them. Elvis has written ELVIS SUKI on the back of their shirts. But for 50 B, why not try both. You can also order a chicken version or a seafood version that comes with squid and shrimps. There´s only one reason I can think of for not seeing the Shell Shuan Shim seal and award outside Suki Elvis, and that is that a certain Mr. Thanadsri Swaddiwasd (Thai Public Relations Executive at Shell) never stopped here to eat. And if you´re inn for a dessert, cross the street to get a lovely Tongue Fun Ice-Cream. order now Food: Suki Haeng which basically is Sukiyaki without the broth. Starts at B50, seafood option comes at B70. 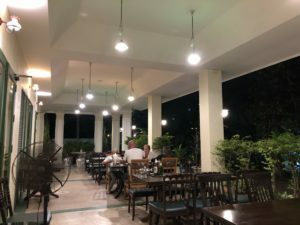 They also have stir-fried egg and chicken noodles (B50), scallops with butter and ground pork (B150) sea bass grilled in banana leafs with a lot of lemon grass (B290). http://rainypass.com/faq/ viagra canadian pharmacy order Open: Daily 4-11pm. https://stetsonpainting.com/whychooseus/ order now Address: 200/37 Soi Yotse (also written Soi Yotsa or Yosse on some maps). How to get there: You find them close to the corner of soi Yotse/Phlap Phla Chai. 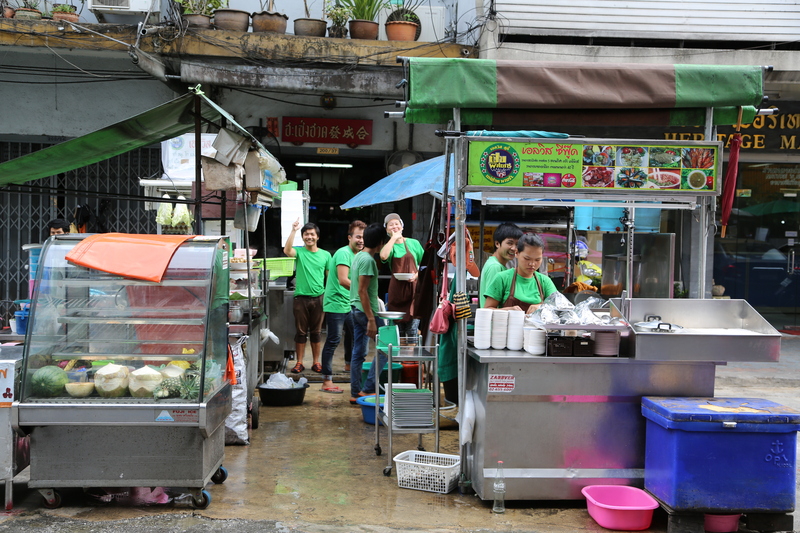 You can follow Phlap Phla Chai from the big Charoen Krung in Chinatown. Elvis and Maverick are quite close to the big road Bamrung Muang (continuation of Rama I) that runs about 1 km north in parallel to Charoen Krung. There are no Metro or BTS stations close to it. Hua Lamphong MRT and BTS National Stadium on the Siam line is the closest. Taxi from the MRT or the BTS is the easiest. An alternative if the humidity is low is to hit the road for 15 minutes through very local communities, coming from Rama IV/Charoen Krung or the intersection Charoen Krung/Yaowarat Rd. If you’re into local transport alternatives you can take the bus 15, 47 and 48 from BTS national stadium to Hua Chiao Hospital which stops close buy. Bus 47 can also be taken from several places along Rama IV (all the way from Khlong Toei MRT station to Siam Yan MRT station) – from Rama IV it follows Phaya Thai Road that interlinks the parallel roads of Sukhumvit and Rama IV. Bus 48 can be taken at any stops along Sukhumvit Road.